The 10 Best After School Programs in Oklahoma! A child’s learning experience doesn’t end when the school day ends. 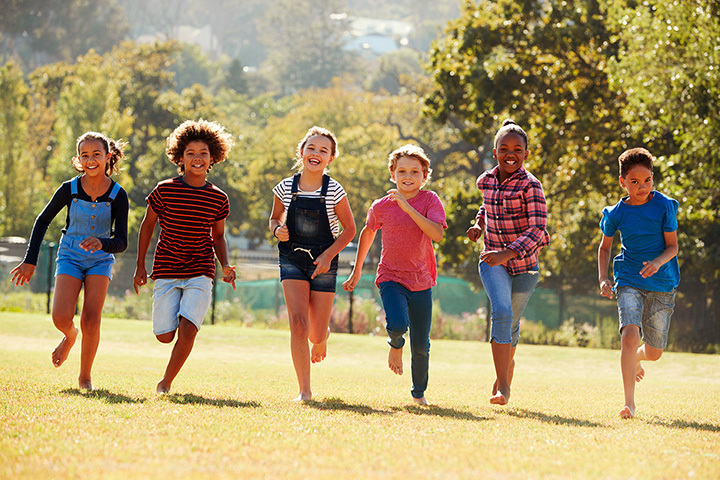 The great after-school programs of Oklahoma can help improve your child’s social skills, engage them in the arts, participate in physical activities, and so much more. From organizations dedicated to hands-on crafting to homework help, get your child involved in one of these valuable after-school programs in Oklahoma. This non-profit program offers kids from K through fifth grade opportunities for physical activities, socialization and self-expression through arts and crafts in a safe setting licensed by DHS. It partners with several other community agencies to provide services. Motion Tulsa has an after school program where they pick your child up from elementary and take them to the facility where the kids play and learn until you get off work. There’s no electronics. The snacks are healthy. They teach fitness, character and teamwork. The Parks & Recreation Dept. run this after school program for kids in Mustang. Students are picked up at the elementary school and brought to the center. They get homework help and a snack. After homework time, the facility offers supervised activities, from board games, trivia contests, arts & crafts, and recreational play. Kids must be enrolled to attend; no drop-offs are accepted. This after school program is designed to provide stability for children whose parents are incarcerated. They have an extensive list of arts & crafts, pottery, glassblowing and literary arts, plus they offer reading time to strengthen reading skills. One of the best things about this program is that kids up to eighth grade have opportunities to join in. This STEM-based learning center has several different programs, depending on your and your child’s needs. If your child loves math, science and technology, this is a great place to encourage taking their knowledge to the next level. The Boys & Girls Clubs has over 100 years of experience supporting children by keeping them on track to graduate, helping them live a healthy lifestyle and demonstrating good character. If you have a program in your community, it’s one of the best places for kids up to 18 years old, provided they’re enrolled in school. Go to the national site and search for a club in your city. Years ago, the First Presbyterian Church saw a need in the community and wanted to provide neighborhood children a safe place after school. Over 30 years later, the program has grown into a fully-licensed facility. The Tulsa YMCA has a Graduate Oklahoma (GO) program that offers before and after school care. Financial assistance is available. The program focuses on nutrition, curbing risky behaviors, improving academic performance and reversing childhood obesity. They have data to backup their program and how it’s improving kid’s lives. This after school program includes free transportation from the school to the studio. Kids can get help with homework, snacks, sports and other activities and martial arts classes. They even take kids from the middle schools. ASAC stands for After School Adventure Camp, and it’s one of the church’s most important missions. Tuition is income based and affordable. Kids up to sixth grade are welcome. They schedule homework time and have daily snacks, plus lots of enrichment activities including field trips.